"0 Life, how is it that you die? How is it that you dwell in a tomb? All creatures are troubled.and amazed. The Angelic Hosts and the multitude of men, all creation stands with fear and trembling before the great and indescribable Mystery of the Holy Passion and Radiant Resurrection of Christ the Saviour. And it wonders: How is it possible for Life to die -true Life, Life itself, the source of Life? How can a tomb be the dwelling place of Life- that is, of our Lord Jesus Christ Who said: "I am...the life/l [John 14:6]7 It is the Resurrection that provides the answer. Many of the questions of those times remain unanswered. What took place then once for all is repeated always land unceasingly. The Mystery lives on and, with it, the wonder. Christ is still a bone of contention for many people [Luke 2:34]. He is crucified and yet is resurrected. For some, the Crucified One is a stumbling block, for others He is folly [1 Cor. 1:23]. He Who is risen from the dead is ITlocked by some [Acts 17:32], slandered by others [Matt. 28:11-15], but reigns in the hearts of the Faithful. We the Faithful have a foretaste of the Resurrection. We live by the Resurrection not fearing the natural death of the body, because we believe in the Resurrection of Christ and of humanity. We see this as a testimony of our association with the Saints who, although they died in the eyes of men, truly live on and associate with us and help us in our lives. The cry of fanaticism was heard in those days and continues to be heard in our own: "Crucify! Crucify him!" The response then and today is the cowardice and irresponsibility of those in power: "Take him yourselves and crucify him!" [John 19:6]. Life has risen, Christ has risen, and we are fellow witnesses to His Resurrection, not only through logical arguments, but through our life of Resurrection. Our testimony is convincing when the Risen Christ lives within us, when joy, sureness in faith and the peace of the Resurrection shine forth from our very being. The grave, of course, yet stands before us menacingly, threatening our lives and our natural environment. We do not, of course, speak of decay and death in a biological sense. We mean those kinds of death and decay which threaten human life suddenly, savagely and violently, which provoke the conscience and degrade the human person and corrupt the beauty of nature. We mean, for example, life which is handed over to death before it has even seen the light of day. We mean the millions of children driven to the grave by poverty, famine, the lack of even the most basic medicines, the hard-heartedness of those who are in a position to help but do not do what is necessary for them, the shamelessness of those who manipulate the children and those who corrupt childhood innocence. We mean the victims of daily religious, nationalistic, tribal and other kinds of fanaticism and military conflicts that uncaringly and indifferently ignore the universal plea for the easing of pain and the peace of the world. We mean, finally, humanity's criminal plundering of the natural environment which is violently and vilely enslaved in insatiable passions of exploitation and profiteering, and which deforms the beauty that was granted to it by the Creator and undermines the foundations and preconditions for the survival of future generations. In short, we mean all those kinds of life which carry the mark of death, be it spiritual or ethical, or whether they are the offspring of passions and errors, deprlvation or greed, degradation or trampling on life. Beloved and Cherished Children in the Lord, we have once again venerated the Holy Passion of Christ our Saviour. We know that His death on the Cross is foolishness to all those who persist in unbelief and are heading for perdition. It is, by contrast, the power of God to all those of us who walk in faith on the road of salvation [1 Cor. 1:18] in the dazzling light of the Resurrection. By this power and joy of Christ's Resurrection, we respect the life of our fellow human beings, that we may cease to destroy one another and to renounce violence and fanaticism which threaten life. The triumph of the Resurrection must be lived as a triumph of life, of mutual brotherly love, of providence, of hope. "Christ is risen and life has found freedom". To Him be glory, honour and power to the ages of ages. 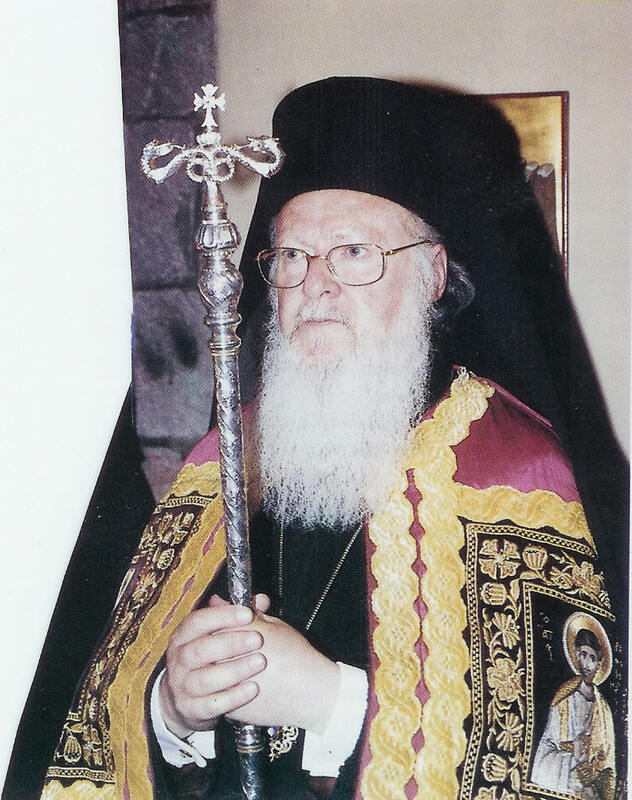 Vartholomaeos Archbishop of Constantinople Fervent Intercessor to the Risen Christ for you all.